​Let's not talk about the new year. I have a healthy respect for all those endeavoring to make a change in their lives at this time of year, don't get me wrong. But I'm sure you've heard more than your fill of New Year's resolutions and goals. Instead, let's talk about the ongoing goals of your center. These don't change with the turn of the year. You're always on the hunt to save money where you can and maximize the efficiency of your equipment. And each day presents a new challenge—a maintenance issue, a change in fuel costs, or a staffing problem. You're not working year to year; you're working day to day. ​When you're working day to day, you don't need immediate results, but they're nice to have. Using a liquid pool cover, like Heatsavr, will provide you with those results. And it won't take a day to install. Not even half a day. You can install an automated Heatsavr system in about an hour. What happens after that? Savings. 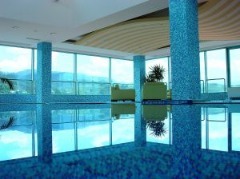 Heatsavr spreads over the pool automatically within minutes. Afterward, you'll save up to 35% on your pool heating costs and reduce up to 50% of evaporation. And those savings will start to kick in the day you apply Heatsavr for the first time. Think about it: in one day, you could change the future of your pool forever. Not just for the month, not just for the year—indefinitely. ​Does anybody else feel like 2016 just rocketed by? It was probably because it was such an action-packed year. After a year like that, who can tell what 2017 will bring? It's exciting, isn't it? Let's talk about what 2017 has in store for your aquatics facility. There are only a couple weeks left in December, which might seem like a lot, but for me that's going to be the blink of an eye. I would wager you'll have a similar experience. So what are some of your 2017 goals? Reducing your energy costs? Cutting down on your water usage? Making your facility a bit more green? What if you could accomplish all of those goals with only one product? ​Yep, that sounds unrealistic. I know. But customers all over the world who have used Heatsavr, our patented liquid pool cover, have experienced exactly those kind of results. They've reduced their pool heating costs by up to 35%. They've slashed their water loss in half. 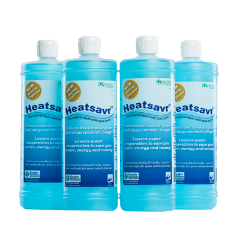 They've committed to a greener aquatic ideology, and Heatsavr has helped them get there. It's never too early to start thinking about the future, but right now is a perfect time. In a couple weeks the wheel of the year will make its lumbering turn to back to the start, and what better time to start fresh? 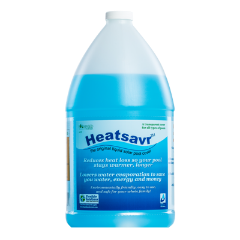 Take some time to think about what Heatsavr can do for you and your aquatic facility goals. Check out our testimonials. Read up on our trials. And when you're done that, you'll be ready to get started making 2017 the best year for your pool yet. ​I'm sure you're already aware how beneficial swimming and other water-based exercises are for health. You've probably got programming in place to help your swimmers tone their midsections, enhance their endurance, and increase their flexibility. And there are lots of people who use your pool for those specific reasons. Here's another win for team aquafit—new research has concluded that individuals who have had a stroke can experience benefits from exercising in the water. In fact, there is evidence that water-based exercise might be more beneficial for stroke survivors than land-based exercise. That's huge news. Nearly 800,000 people in the United States suffer from a stroke each year, and helping those survivors regain mobility, strengthen their bodies, and improve their quality of life is vital. 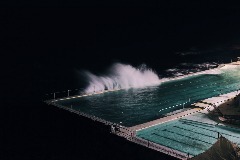 ​This is just another reason why aquatics facilities are the best. The list of potential pool activities and benefits grows longer each and every day, making it more and more evident just how much enrichment one can gain from a pool. But pools come with their fair share of frustrations. One of them? They're expensive. Just because running a pool is expensive, though, doesn't mean it can't still be a little cheaper. By adding Heatsavr, our patented liquid pool cover, to your pool, you can expect to save up to 40% on your pool heating costs. Heatsavr helps trap heat in your pool. When your water temperature is more stable, your pool heater doesn't have to work as hard—and your energy bill will thank you. A product that can help your facility save money? Pool win. Helping stroke victims improve their quality of life? That's a huge pool win. ​Where I live, we had our first snowfall last night. It was slushy and wet and left an awful icy mess this morning. The further we head into winter, the more I search for the elusive toastiness everywhere I can find it. Picture Sam McGee but whinier. Blankets are great, but the best cold weather remedy of all is a nice, hot soak. And where better to have a nice, hot soak than the local pool? I'm sure many of your customers are experiencing the same train of thought. And they can rely on your facility's ability to warm them up and keep them nice and toasty because of the hard work you do keeping your heating pumps running at maximum efficiency and your facility up to snuff. ​Here's something to consider, though: there's a way to make your facility even more efficient. 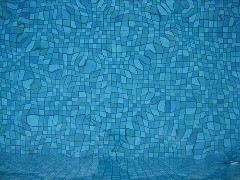 Around 70% of heat loss in pools is due to evaporation. Even if you can't see steam rising from the surface of the pool in the same way you can from a hot tub, your pool is constantly losing heat. Your heater works continuously to maintain your preferred temperature, which is both good and bad. Good, because your swimmers never experience a drop in temperature. Bad, because it's expensive. What if you could make your heater's work go farther? 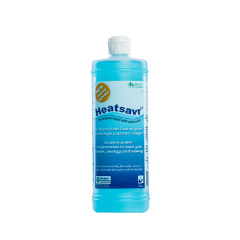 By applying Heatsavr, our patented liquid pool cover, to your pool and hot tub, you can expect a drop in evaporation of up to 50%. That means more of your pool's heat will stay in your pool. As a benefit, your pool heater won't have to work so hard—which is good for your heater and your wallet. But that's not the only benefit you'll experience. Our product has been proven to help conserve water and lower humidity. We've got heaps of testimonials from customers just like you to prove it. ​Thanksgiving is over and the holiday season is, for most people, in full swing. And that can be stressful. But let's not talk about that for a moment. This, my friends, is a friendly reminder to take a break. Get a coffee. Do a crossword. Stare at the ceiling for five minutes. Whatever it is you do when you need to relax, make time for it in your day. Several times a day, if necessary. When I feel overwhelmed, I take a nap. It's not the most efficient and timely method of de-stressing, but it's better than nothing. What's yours? Life is too short to be living with constant stress, and around this time of year things are constantly stressful. So take that break. And when you're done, consider which areas of your life and work could be streamlined in order to cause less anxiety to you overall. I can think of at least one: your pool. ​Using a liquid pool cover at your facility is the best way to experience the benefits of a pool cover without the added fuss. You'll save money on your pool's heating bill, waste less water, and experience less humidity on the pool deck. All without having to haul a pool cover on and off your pool. You can even set your liquid pool cover to be dosed automatically with our pump, making it a true set-it-and-forget-it solution! Not every task in your life will have an easy button, but covering your pool does. For everything else, there's always naps.